When Mr. H. H. Sugg left the house a licence was granted to Mr. John Goddard, son of John Goddard, Burr Lane. Lacemaker John Goddard junior was the oldest son of John and Ruth (nee Brown) and before his marriage appears with his parents on censuses in Burr Lane, Mount Street and Brussels Terrace. Then in July 1861 he married Mary Brentnall, the oldest child of Elijah and Hannah (nee Aldred). Elijah Brentnall at the Anchor Inn. Born in 1803 Elijah Brentnall was the oldest child of John and Hannah (nee Hickton) and like his father was a bricklayer/builder. In May 1823 he married Brinsley-born Hannah Aldred, the daughter of collier Samuel and Mary (nee Ottewell) and the sister of several other ‘out-of town’ Aldreds who made their home in Ilkeston. These included Samuel Aldred, cordwainer of White’s Yard in Bath Street, lacemaker Joseph of South Street, and Aaron, keeper of the Queen’s Head in Bath Street. The London Gazette states that Elijah was trading as a builder at Elizabeth Cottage in Coldharbour Road, North Brixton, Surrey at the end of 1844, when he was declared bankrupt. A few months later Elijah was selling off two plots of building land, one in Barrington Road, Brixton, and the other in Denmark Street, Camberwell. The Ilkeston Advertiser (1914) records that Elijah “built and owned the Anchor Inn. The house was put up in three weeks, and Mr. Brentnall occupied it with his family. Earlier in his career Mr. Brentnall had been engaged abroad in bridge building”. In October 1853 the Pioneer printed a letter dated June 29th 1853 which it had received from Elijah “who is employed at the Benha Bridge Works on the Egyptian Railway”. “I have the works entirely under my management, and employ more than 1000 men. “They are mostly Arabs, who are compelled to be driven to work like donkeys, with a stick or whip; the drivers are selected from the best Arabs or Turks. “Amongst my carpenters I have Italians, Greeks, Albanians, Germans, Arabs and Maltese, all speaking different languages, so you may guess what a job I have to make them understand me; but Hiram* is getting on well with Italian and Arabic. “There seems to have been no improvement in the customs or manners of these Ishmaelites since the days of the patriarchs. The place we are at is the identical “Land of Goshen**”. The water from Joseph’s well (down which I have been) is drawn every day by the same means as when it was first made. The corn is still trodden out by oxen. “Before my return I think of joining a party to make a journey to Jerusalem. Tom*, myself, and Hiram are getting stout; I never was better. “The climate though beautiful, is hot – 109 degrees in the shade. Cucumbers, melons, and water melons are here in the greatest abundance. I got one this morning as big as my head for a half-penny, full of water, and most delightful in slaking thirst. “All well, I hope to see you in the spring of 1855”. *Tom and Hiram were sons of Elijah. **The reference to ‘The Land of Goshen indicates a land of peace and plenty. It was the area given to the Hebrews by Pharaoh and the place from which they left at the time of the Exodus. Robert Stephenson was engineer-in-chief to this Egyptian railway, the first section of which was completed and opened in 1855. The wrought-iron tubular Benha Bridge over the Nile on this line between Alexandria and Cairo had ten arches, each of 80 feet (except the two centre ones of 60 feet), was 870 feet in length and carried the railway on the top. The centre was designed to swing open to allow better access for river navigation. At this point … my thanks to Jeanette Brentnall who has made a couple of contributions in the Comments Section. Jeanette, working with others, has put onto line, transcripts of the diaries of Elijah Brentnall and his son Hiram, both of which provide much more information on the Brentnall family history, their work in Egypt and their life in Australia. The site can be found at http://www.Scribd.com …. well worth a visit. The Anchor Inn In Market Street. John Goddard and the Anchor Inn. Harrison, Harrod, & Co’s Directory of 1860 records Mary Brentnall, daughter of Elijah and Hannah (nee Aldred) as a beer seller of Market Street. In mid-1860 Elijah was granted a licence to trade as a victualler. The 1861 census shows him at the Anchor Inn, as innkeeper, with unmarried daughter Mary. His wife Hannah had died in Birmingham in January 1855 and was interred at the General Cemetery there. Two months after this census — in May 1861 — the Anchor Inn was advertised for sale or to let in the Pioneer. Throughout June it was up for letting and then on July 4th it was to be sold by auction on that very day. It was described as a freehold hotel with bar, bar parlour, parlour, tap room, dairy and kitchen on the ground floor; with four sleeping rooms, dining room (36ft x 14ft), store room; two large cellars and water cistern holding 5000 gallons, brew house, stable, piggeries, coalhouse, urinals, yard, and appurtenances containing about 1000 square yards of land. Its location was ‘contiguous to the finest Cricket ground in the county, over which, from a balcony, there is an uninterrupted view’. From its rear the height and location would have provided extensive and ‘delightful’ views over the countryside. But note that the balcony seems to have been there before the arrival of John Goddard. This sale roused the Pioneer to comment on the ‘free-guzzling’ system of several recent auctions which had become a centre for ‘bacchanalians’ rather than a place of business. It appears that the bidding had been enlivened by some members of the audience who had swallowed too much intoxicating liquor. By the following week the Inn was again being offered to let with immediate possession, being described as ‘a newly-erected…house…to which an old licence has recently been granted….apply to Mr. Brentnall’. Had it failed to sell at the auction? Two weeks after this and John Goddard, ‘builder of East Street’, was offering a house to be let in Burr Lane, with four bedrooms, garden and plentiful supply of water. Was he moving from this home to take over the Anchor Inn? At the same time another auction was advertised on July 29th at the Anchor ‘Hotel’, this time to sell off the whole of the brewing plant, ‘the house having been taken for private residence; the whole will be sold entirely without reserve’. On the same day as this proposed auction John Goddard and Mary Brentnall were married at St. Paul’s Church in Nottingham. It was probably at this time that Hubert Henri Sugg and his family rented the house and remained there until their departure to the ‘Steel City’ in South Yorkshire in 1864. (The Anchor Inn) became very popular with cricketers, etc., and John had a balcony added to the side of the house overlooking the Cricket Ground, where his customers could enjoy their drinks while watching the prowess of the cricketers. 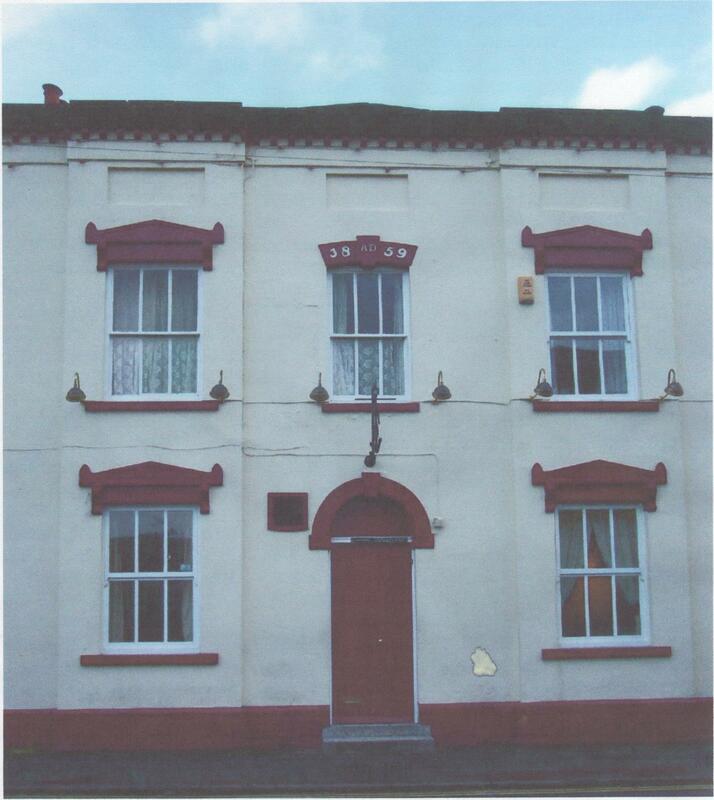 In 1871 John was landlord of the Anchor Inn. In August 1869, as owner of the Cricketer’s Arms (a previous name for the Anchor? ), he had been refused a victualler’s license (The Derbyshire Times and Chesterfield Herald). By 1873 the Rutland Cricket Club had fenced in the old Cricket Ground and was charging for admission. But what to do about the spectators on the Anchor Inn balcony who had a free view of the cricket matches? In July and just prior to the county cricket match at the ground the club had erected poles and canvass, to obstruct the view. This had led to much acrimony, some stone-throwing, one broken window, and of course a court case – what else? A compromise was sought and, despite protestations, the Inn eventually agreed to pay an annual fee of £2 to the club and so avoid the view being blocked by further hoardings. In September 1874 John was refused a licence to sell wine and spirits to be consumed on the Inn’s premises. And in 1875 came another refusal. In September 1876 John applied once more for a victualler’s licence at Heanor Brewster Sessions. At that meeting some interesting detail of the history of the inn was revealed …. it was argued that the Anchor had at one time such a licence but that the then landlord — Elijah Brentnall? — had to give up the business because of ill health, and did not apply for a transfer of his licence. The house was then let to solicitor Hubert Henri Sugg who subsequently left for Sheffield in 1864. Thereupon a beerhouse licence was obtained for the house by William Attenborough and it had been a beerhouse ever since, having now been transferred to John. The latter now suggested that granting him a spirit licence would confer ‘a great benefit on the neighbourhood’. A new street from the Market Place through to Nottingham Road was about to be opened and this was where the Anchor Inn stood. The Justices were not persuaded however and John’s application was refused. And he was refused once more in 1877. With John Fish, the Parish Clerk, John developed and improved at least part of Derby Street in 1874-75, and this were extended in 1881. The Goddards left the Anchor Inn about 1882 and eventually went to live in a new house at 13 Graham Street. 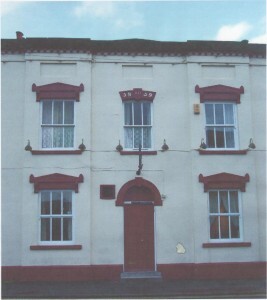 John subsequently worked as a lacemaker at Hewitt’s factory on Heanor Road and then at Sudbury’s factory on Market Street. Mary died in Graham Street in November 1895 whereafter widower John was joined by his niece, Evelina Straw, daughter of Norman and John’s eldest sister, Catherine (nee Brown alias Goddard). Evelina was his housekeeper until John died at 13 Graham Street in March 1914, aged 83. Other landlords at the Anchor Inn. And in August 1883 at the licensing business of the Heanor Petty Sessions … guess what?!! 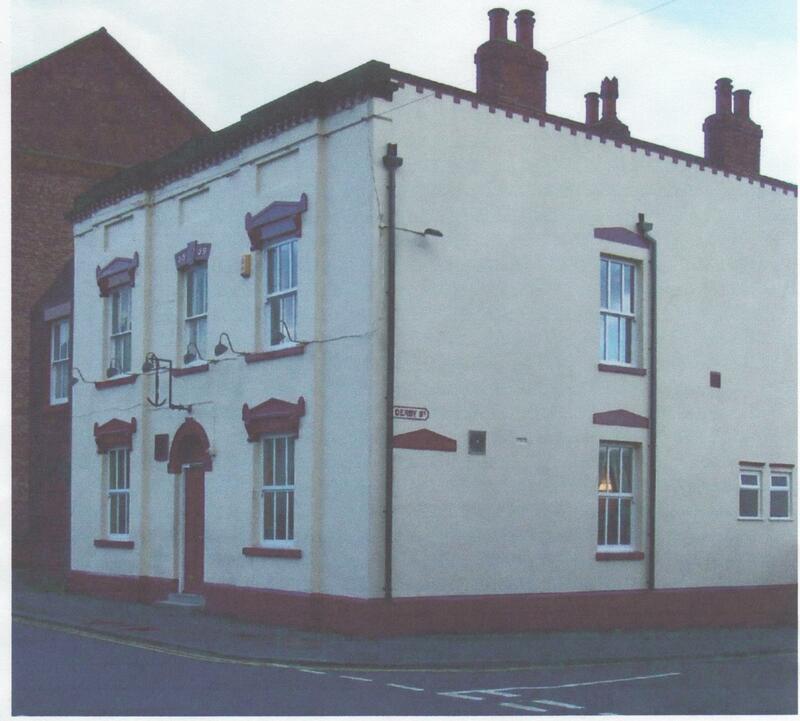 In February 1884 the licence was transferred to John Ridge Lee and at the beginning of September 1884 John , already a holder of a beer licence, applied for a full licence on the grounds that the inn was now on practically a main thoroughfare from Ilkeston to Nottingham. A change of licence would thus be a great convenience in what was now a very populous area. He had no more luck than his predecessor. The magistrates refused the request. In August 1889 keeper George Severn tried his luck and applied for a full licence. Another refusal. And another one in August 1892. And another one in August 1894. But George was granted a wine licence for the Inn. In August 1896, accompanied by a petition signed by 297 persons, George applied again for a full licence. And this time he was not refused. Instead the case was adjourned!! But in October George was granted his full licence!! The Anchor Inn at the corner of Market Street and Derby Road. We now return to South Street.